The current European Martial Arts Committee, EMAC (formerly – the European Jujutsu & Kobudo Committee, EJKC) website introduces current and credible information only. This website is updated throughout by the Committee chairman. All of the information provided on the website has been agreed with the group of the experts awarded EJKC/EMAC medal. EMAC is an independent organisation acting within its own structure and it is not liable to any other organisation. The Committee was created in order to fulfil its own aims and tasks in accordance with EMAC regulations. All of the information with regards to the Committee presented on any other websites might be out of date or unreliable. We are happy to inform that the Committee presence that have lasted for few years now allowed us to verify our aims, we have introduced fundamental organisation changes, which we believe help us to improve EMAC performance. EMAC website consists of recently updated Committee regulations in two languages: Polish, and English; as well as updated list of the Experts and Committee members. 1. 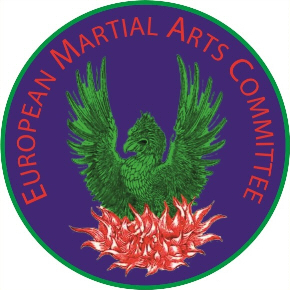 Members of the European Martial Arts Committee consist of outstanding martial arts Experts, Masters with long training and teaching experience. Expert–Professor of Martial Arts title can be awarded to a Grand Master or to a member who obtained at least 8 dan (or equivalent) within particular style or method. 2. The name of the committee is reserved. 3. The Committee acts within Europe and in other countries; registered office is the home address of elected chairman/president. 4. In order to achieve the Committee aims, the organisation acts within Republic of Poland as well as outside the country. 5. The Committee can cooperate with different organisations, scientific associations, martial arts clubs, provided that it will preserve its independence and identity. 6. The Committee acts according to self approved regulations. 7. The Committee determine its own aims, programmes, activities and structure within the organisation. d) to organise seminars and courses, engaging themselves in popularizing Martial Arts. 9. The Committee provide its own emblem and seal. 10. The honourable distinction of Expert-Professor of Martial Arts should be awarded after assessing candidates on their merits (thorough analysis of particular master profile). A candidate should be able to prove outstanding academic/educational results and highly recognized achievement in popularization and development of Martial Arts. A candidate can be accepted only if they fully comply with Martial Arts traditional rules and code of ethics, both in dōjō and everyday life. All arrangements while obtaining relevant reports and information concerning a particular candidate should be performed diligently so the introduced material shows full and exhaustive profile of the candidate. 11. A ceremony of awarding the title of Martial Arts Expert-Professor should be performed in a proper manner and in accordance with the title prestige. 12. EMAC will carry out academic activities and publications within Martial Arts subject. 13. EMAC will act strategically in order to introduce new norms and will launch an international project with regards to a new way of obtaining professional licence for Martial Arts teachers. 14. EMAC will organise seminars, courses that provide participants with proper qualifications and/or will issue international licence of Martial Arts teacher. 15. EMAC can grant master degrees and honour titles in martial arts. a) Candidate must comply with traditional system of values of Martial Arts and code of ethics. b) Candidate should be an outstanding Martial Arts teacher. c) Candidate should be able to introduce any publication within Martial Arts area that they succeeded to issue. d) Candidate should be able to prove active presence in national and international courses. e) Candidate name and profile should be well known to other European/Asian/American Martial Arts teachers. f) Candidate should have at least 30 years of practical experience within particular Martial Arts style or method. g) Candidate should have been awarded at least 8 dan or equivalent (with exception to teachers with proved their length of experience, advanced age and educational achievements , the attributes that indicates professional level of knowledge within particular subject). a) Executive Committee of EMAC include a chairman, a deputy and 1-3 secretaries. b) Chairman and a deputy are members awarded the title of Martial Arts Expert-Professor, who is elected for period of 6 years. c) Secretaries are elected by chairman and deputy for a period of one term (6 years). d) The Committee member, elected for period of 4 years by Executive Committee. The members are responsible for development of the Committee prestige. 18. The main office of EMAC is located at the home address of the chairman. 19. Medal/Award Committee are members that awarded the title Expert-Professor of Martial Arts. 20. Expert-Professors of Martial Arts – are members of Medal/Award Committee – they are responsible for development of the award prestige and reputation. Martial Arts masters that are members of EMAC and teachers, who cooperate with the Executive Committee, make written suggestion of candidates. The written proposal should include detailed description of candidate’s experience, assessment of their merits, justification for proposing a particular candidate, information about candidate’s grades, their age, recommendee opinion of the candidate’s moral and ethical profile and documents proving the candidate’s international position. The Committee will discuss and decide on award after reading all documents involving a particular candidate. The title will be awarded after the vote in which at least 2/3 voters accept the candidate.